I grew up hunting and shooting cans off our back deck and had never really shot a handgun until 2009. I went to a local store to purchase a handgun and someone mentioned they had indoor competitions. That first night hooked me with a taste of how much fun the competition and camaraderie can be. Then, once I shot at an outdoor local match, there was no turning back. The 2015 Single Stack Nationals is my favorite memory to date. This is because the 1911 is my favorite gun and primary focus, but the Single Stack Nationals has been my biggest challenge. For the past 3 years, I have done well and trained hard leading up to that match, but never performed my best. Thankfully, this year it all came together and I earned a 16th place finish. 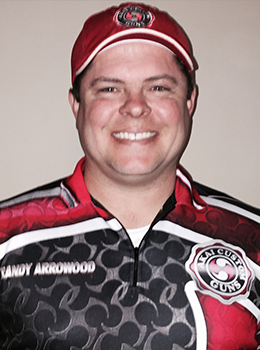 With Single Stack Nationals behind me, my next top goal is for a top-5 finish at the IPSC Nationals in Classic Division. Then, similar goals for 2016 in hopes of joining the World Shoot team representing the United States.